Stress is one of the biggest health problems faced by people every day. Often we think of stress as part of life or something that we just have to accept. 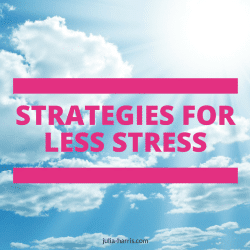 In a way that’s true, very few people never have any stress at all but it can literally be a killer unless stress relief tips become part of your day! Stress can be a motivator and we all have a different tolerance for stress. However chronic stress can creep up on us slowly and get such a tight grip that it becomes debilitating. Chronic stress can lead to a variety of health problems as well. This is why it’s important that you learn how to handle everyday stress in a healthy way. So many people create their own stress by negative self-talk. Would you talk to your best friend or child the way you talk to yourself? Don’t allow yourself to think negatively about yourself. Instead, learn to focus on the positive things you do and not the negative. In other words for less stress, give yourself a break. It has been proven that people who meditate for 10-20 minutes every day experience less stress than those who don’t So, why not give it a try? If you’ve never meditated before, you can easily find free guided meditations online. It’s not as scary or as difficult as it might seem. When I first started to meditate my kids thought I really had lost the plot and imagined me sitting cross-legged and chanting and while that is one way to do it don’t let that put you off, you don’t have to do that. I often meditate without anyone realizing. When my husband is watching sport I can just put my headphones in, shut my eyes, listen to a guided meditation and the stress starts to drift away. Stress has an unfortunate way of making us prone to “angry outbursts” or at least irritability. So, if you are feeling stressed and you can feel the irritation or anger rising take a short break before you address the issue or respond to the person who is angering you. If you’ve been stressed for the majority of the day, you may find it helpful to take a 15-minute break just to clear your mind. Take the time to breathe in slowly and deeply. Breathing like this has been shown to reduce stress levels, remove toxins from the body and relax muscles, which is why it is often used during meditation. It’s easy to get caught up with a pressing issue and blow it out of proportion. Always try to look at the big picture when there is an issue causing you stress. For example, will the outcome affect you 5 days or 5 years from now? If not, try not to stress about it – keep it all in perspective. While we don’t like to admit it, we can sometimes cause our own stress when we simply aren’t organised. For example, vehicles breaking down, a forgotten meeting, stressful mornings, not being able to find car keys when we are already late and other stressful situations can often be avoided if we plan ahead and get organized. Be honest with yourself, what area of your life needs to be more organized for less stress? This might seem hard, especially if your children are young but it is VERY important. You don’t always have to be available to others. Whether it’s going on a 30-minute run, taking a bath or just reading a book – take time to recharge your batteries. There is nothing wrong with this just explain to your family what you are doing and why it’s important. 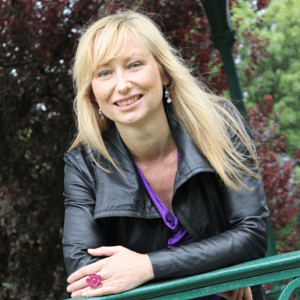 If you feel guilty think of yourself as “leading by example”Self-care is not selfish – its survival!! I’d love you to share your best tip for less stress. just leave a comment below. I love these tips Julia! Just 5 big, deep breaths in and out can make so much difference when feeling stressed and yes the simple ones are the best Sarie!! Great post, Julia, with come useful tips too. One of my favourite ways to reduce stress is to stop people pleaseing. You know, when you take on too much because you want to keep the peace or make other people happy only to end up overwhelmed and stressed yourself because you have taken on so much. I used to be a people pleaser and ended up feeling very stressed because I had more to do than I could possibly realistically manage, only to find that I would take more on when asked. I hit breaking point and made the decision to stop pleasing other people for the benefit of my own health. Yes, it can be a challenging experience during the transition, but learning to say no and build your own boundaries is very important to prevent stress.